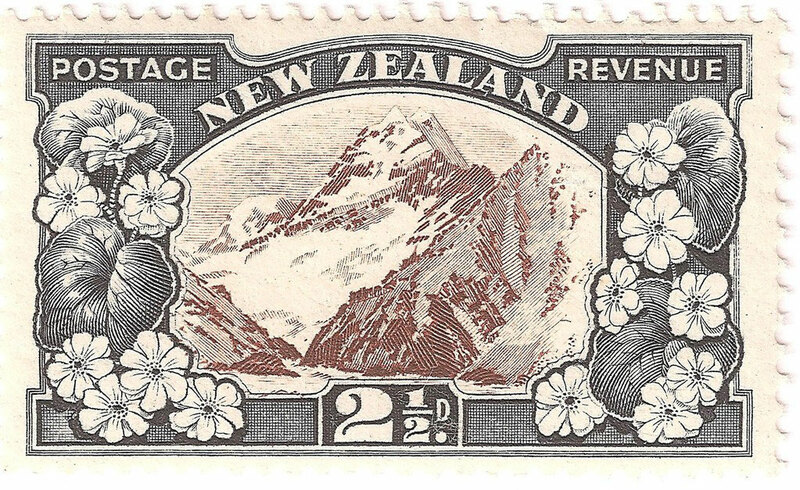 2 1/2d Mt.Cook - New Zealand Stamps, A 1935 Pictorial overview. L Mitchells wash drawing of the accepted design. 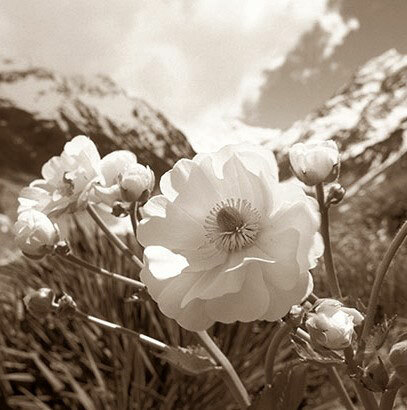 2 1/2 d. Mount Cook 'Aorangi' with Lilies ( Ranunculus lyallii). 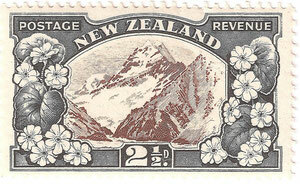 Often said to be the most attractive stamp in the set. 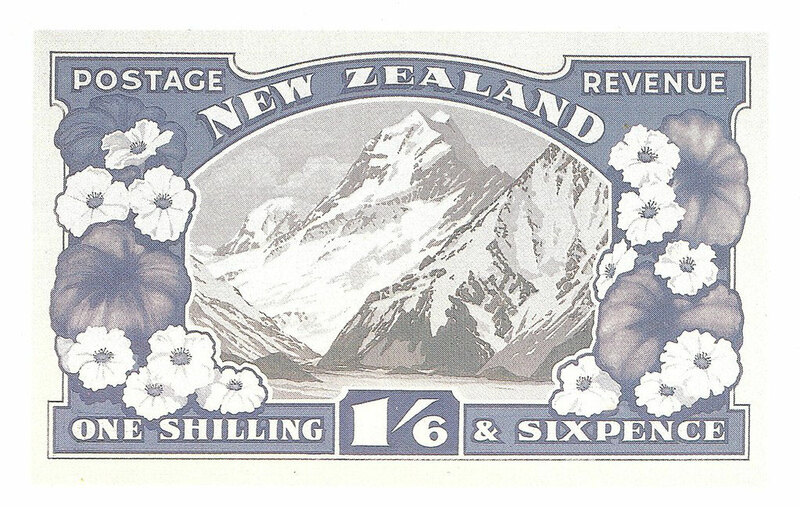 Designed by L C Mitchell.